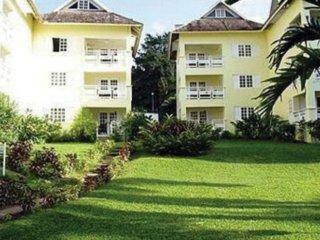 ﻿ Best Price on Apartment at Crane Ridge Resort in Ocho Rios + Reviews! Offering free WiFi and an outdoor pool, Apartment at Crane Ridge Resort is set in Ocho Rios, 24 km from Runaway Bay. Roscommon is 6 km from the property. Free private parking is available on site. All units are air conditioned and have a seating area. A flat-screen TV with cable channels and DVD player are available in some units. There is also a kitchen, equipped with a microwave. A toaster and refrigerator are also provided, as well as a kettle. There is a private bathroom with free toiletries and a hair dryer in every unit. Towels are offered. Apartment at Crane Ridge Resort also includes a sun terrace. Guests can enjoy a meal at the on-site restaurant. You can play tennis and table tennis at the property, and car hire is available. Kingston Airport is 62 km away. Please note that breakfast is available upon request when checking in.